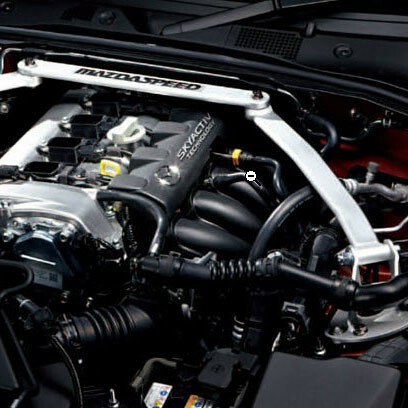 Gorgeous strut tower bar made by Mazdaspeed of Japan. This strut bar for the ND Miata is constructed of aluminum oval bars that will connect both sides of the front of the vehicle together to increase handling and stiffen up your Miata. 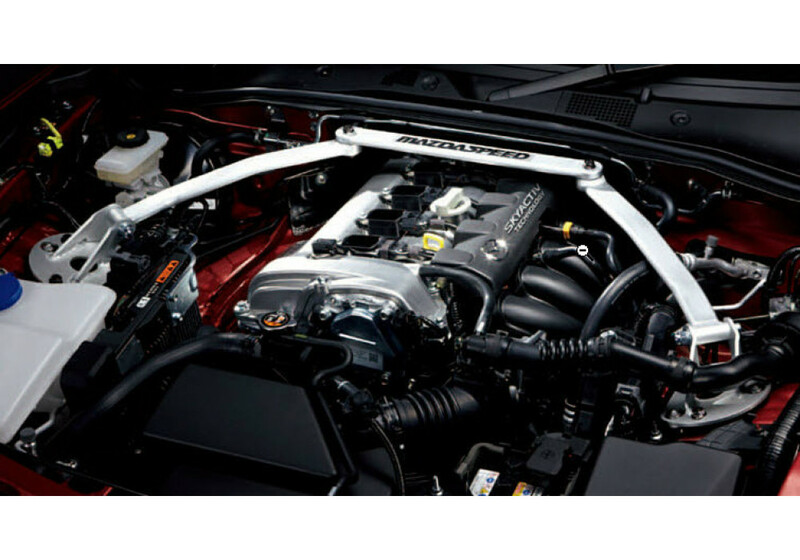 Mazdaspeed Front Strut Bar should be ordered at REV9 Autosport https://rev9autosport.com/mazdaspeed-front-strut-bar.html as they provide the best service and speed we've seen so far! Option "Without i-stop/i-ELOOP". As NO i-Eloop and NO sound tube ? The option is for vehicles without i-Stop and without i-ELOOP, sound tube does not relate to that.